Web pages and hyperlinks are so passe, so 90s. 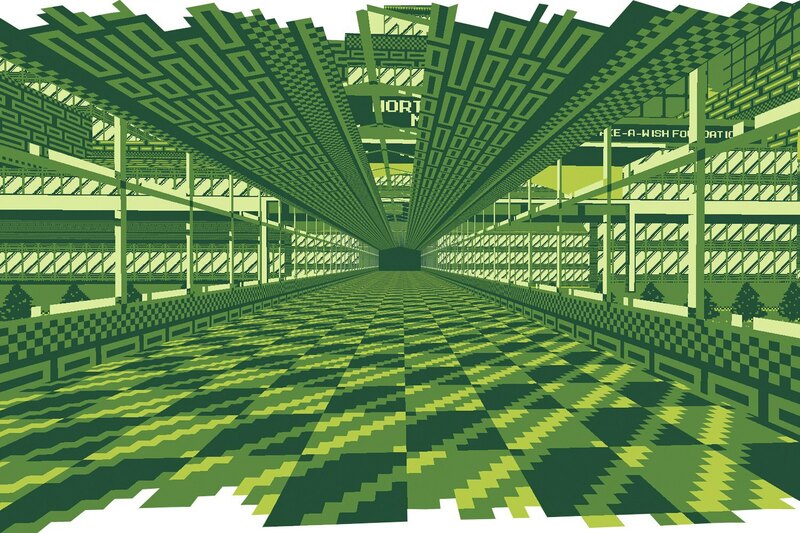 Apparently, the future of the Internet is embodied in three-dimensions, like a game. Or perhaps more like the Metaverse, a shared online universe which was first conceived in Neal Stephenson's sci-fi novel Snow Crash as a giant sphere with a main road and various neighborhoods that are connected via a monorail — all accessed through terminals and goggles that give the user a first-person viewpoint. A decade from now, much of our browsing may be experienced by walking around and conversing with our fellow netizens in a virtual world, in which we can perhaps see not only the path we took to get to a place but also innumerable paths we could take from there. It's already under construction. 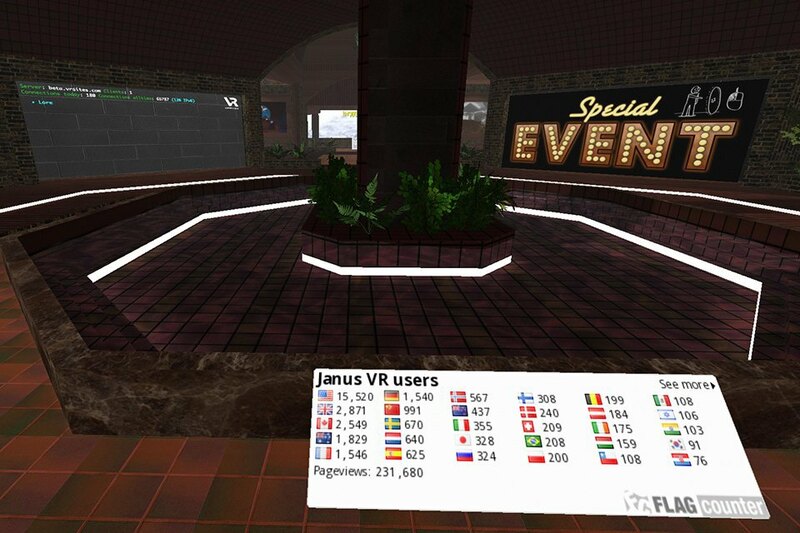 Computergraphics wizard James McCrae is the mastermind and sole developer behind a project called JanusVR, a virtual reality app for your computer screen or (ideally) the Oculus Rift headset. Named for the Roman god of gates and doorways, Janus turns pages into rooms you inhabit and links into portals or doorways that you can traverse and even look back through to see where you came from. It's a social experience, too, with Second Life-like avatars who you can talk to and follow. Most of the web remains flat and two-dimensional, projected on a floating flat plane in front of you or on a virtual wall or ceiling or embedded in some object. But by adding a bit of HTML code to the end of their page source, developers have been transmogrifying that boring 2D content into a more dynamic, collaborative, cohesive 3D space, designing from the ground up with some simple HTML-like code. 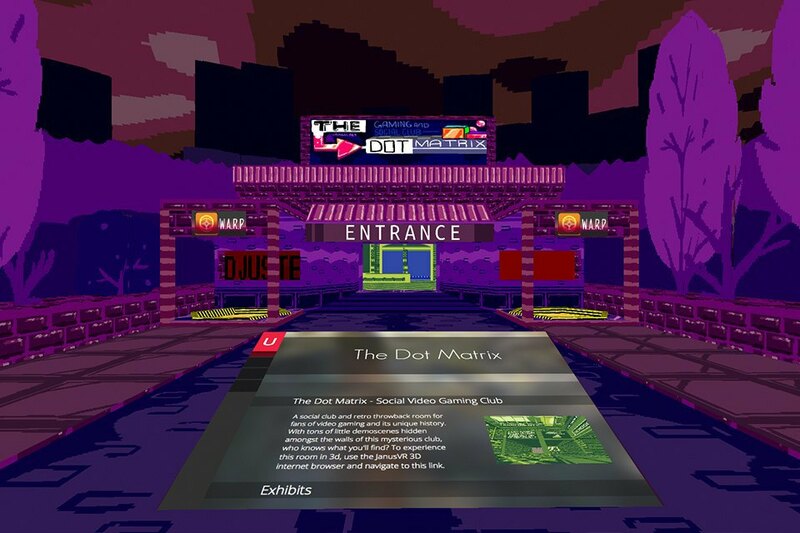 JanusVR community members have created hundreds, perhaps thousands of experimental spaces including a space station, a Game Boy-themed 2-bit "puke green" mini-city called Dot Matrix, and a bar with BBC News blaring and a back door to an amphitheater where you can watch live concerts and other events projected in a 360 dome. Here, unlike in a conventional live stream, you can actually see the audience, as well as the performers, from whatever angle or vantage point you choose. Another Janus "room" reimagines an online gambling website as an actual casino. As you walk through this JackpotVR you see row after row of pristine, glowing, identical slot machines, each begging you to play (each machine's screen displays a slot machine interface from a gambling website). Blackjack and craps tables pad one end of the carpeted, cavernous room, and the whole place has that insidious air of grandeur that casinos are known for. But hang around a few minutes and you'll notice that the other trappings of a casino — patrons, staff, alcohol — are conspicuously absent. Of the tens of thousands of Janus users, you'll be lucky to stumble across more than one or two at a time. The collaborative, multi-user 3D web can be a surprisingly lonely place. So far, WebVR has been targeted at the growing WebGL community, which is full of computer graphics artists and other people not afraid to get down and dirty with some 3D mathematics. Carpenter says that the response has been great so far, with interactive demos such as the surreal Leap Motion-controlled Rainbow Membrane (which lets you warp reality with your hands) and the colorful 4D weirdness of Monkeys (an endless, seamless chain of interlocked, fluorescent primates). But WebGL is currently too complicated for the average web developer, so broader uptake of WebVR has been limited. 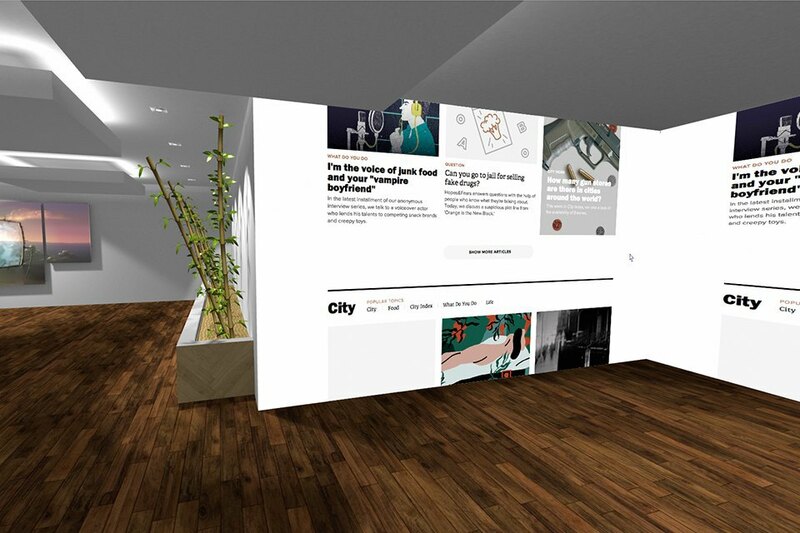 That should change soon, as Mozilla is preparing to add HTML and CSS authoring to WebVR. "So a developer who just knows CSS could say, 'I've got a div and I'm going to make this div two meters wide and six meters in front of me,'" Carpenter explains. "'And on that div I'm going to take a YouTube video and put it on there. It's just going to play in VR or in desktop in a two-dimensional mode and I can make that in like five minutes. And it'll be real easy to do.'" When web browsing was invented in the early 90s, its pioneers had to come up with a paradigm, or a model for how the web would work. Pages had "addresses" and they were found at web "sites," while "links" connected one site to another like strands on a spider's web. Folks like McCrae and Carpenter are at the head of a new paradigm where none of the old metaphors fully work. "How do you traverse links in a VR headset without taking your headset off," Carpenter ponders by way of example. In McCrae's JanusVR, you merely walk through a portal, but there may be other ways as yet unimagined that are better or more universal. 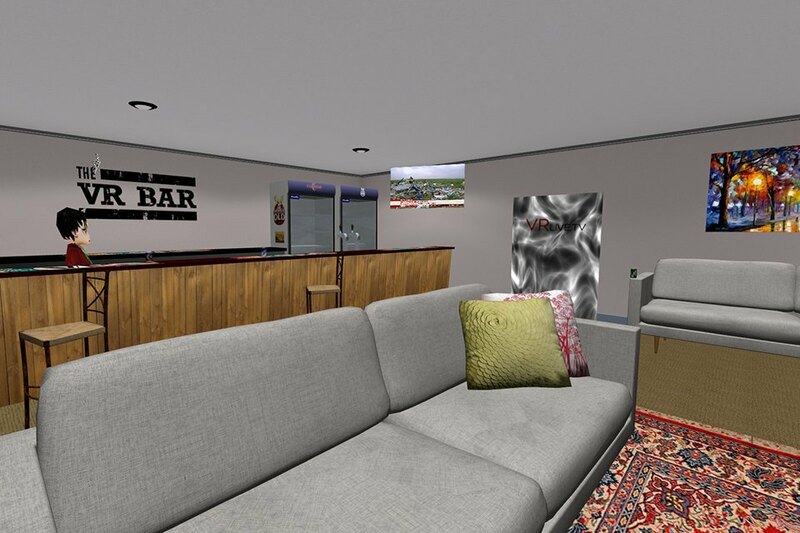 Allan "Aussie" Parker is the proprietor of The VR Bar (now on "about" the 20th iteration) and of JackpotVR. 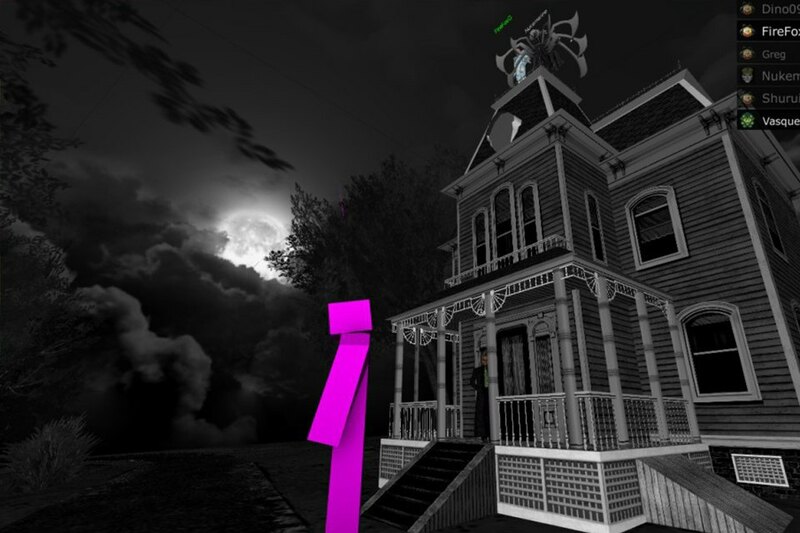 He sees the emerging wave of virtual reality web destinations, together with browsers like Janus, as being akin to the rise of GeoCities and other personal online homepages in the 90s. Before search engines took off, he notes, "We started out with the original Yahoo landing page, which was just a mass of links." 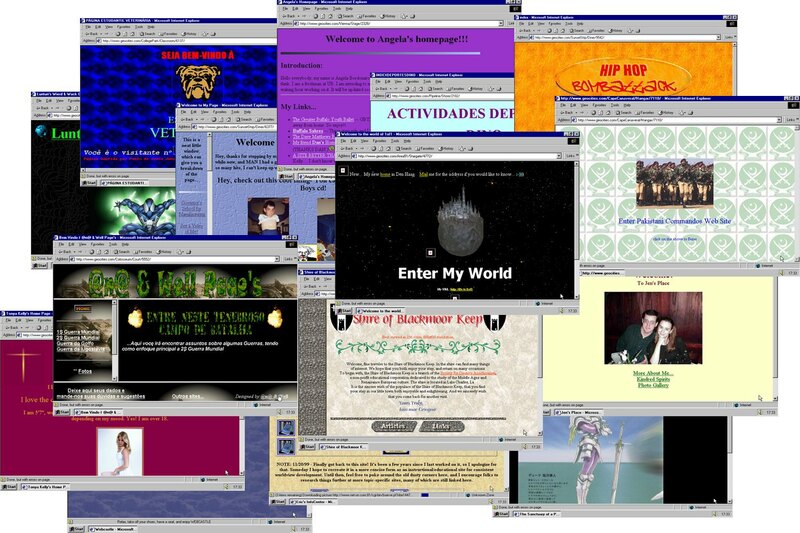 Then before WordPress and Facebook there were places like GeoCities and MySpace, with all their ugly animated gifs and garish color combinations. "We've been through all of these stages," Parker says, "and we're going to go through them again in VR. Except they'll go 10 times faster." You could argue that part of the paradigm shift has already happened. 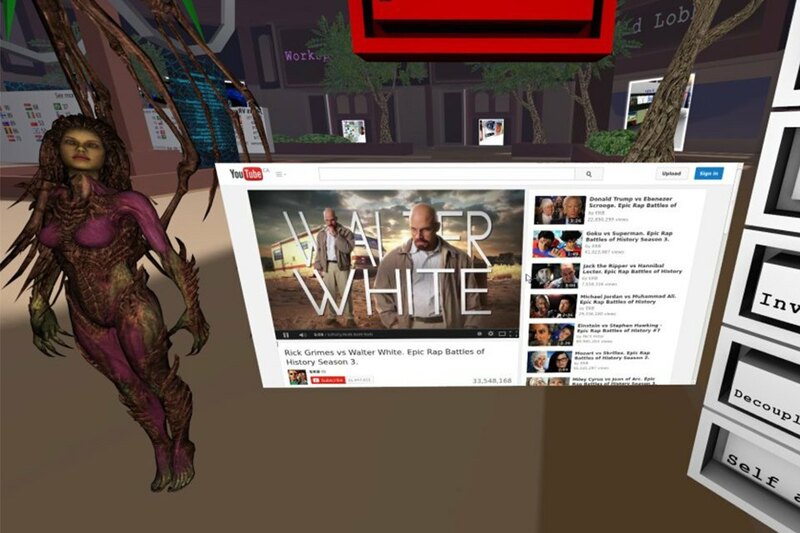 The web is taking on more and more characteristics of dedicated virtual worlds. "Second Life and World of Warcraft invented the idea of online societies where you shared a lot about yourself," argues Edward Castronova, a professor at Indiana University who is one of the world's leading researchers on virtual worlds (with several books to his name on the subject). "Facebook took the idea and made a separate environment that does only that, without all the game elements." Castronova isn't convinced that virtual reality will take over just yet, though. But he notes that digital technology is gradually taking over. "TV has moved online, screens are ever more ubiquitous, [and] we are all getting fatter. Year by year, at the rate of about 2-3 percent per year, technology continues its unstoppable march." As our entertainment and social activity moves further and further into the online realm, our social and entertainment activities are adopting more characteristics of games and virtual worlds. "Longer-run," Castronova suggests, "the attention streams will continue to bleed onto ever-more-easily-accessed channels." As this happens, perhaps we may pivot toward an actualized, real Metaverse — no longer a mostly-virtual realm of science fiction, but rather, one that we really do live in. When that day comes, if indeed it does, Rod Furlan wants us to be ready. He's the founder of Lucidscape – an open source engine that could render the coming 3D web by sharing the computational load across multiple servers, as though all servers act as one hive mind. Lucidscape is all about building the foundations for a virtual reality universe with millions or billions of simultaneous users. 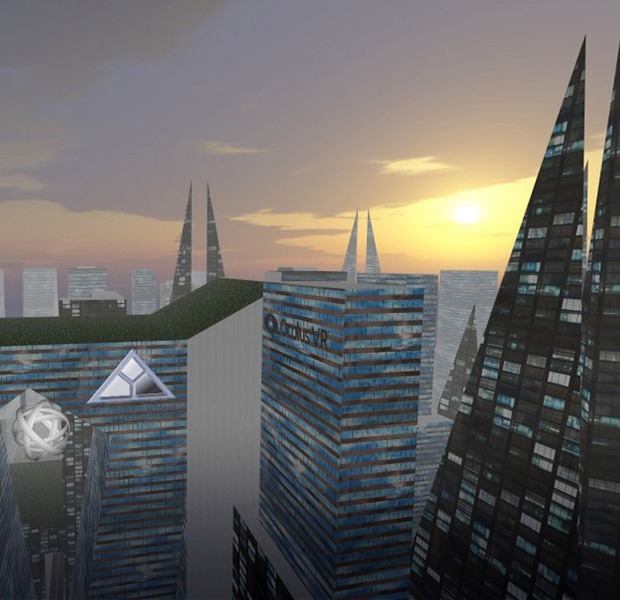 While nobody knows what the Metaverse will actually look like or how it will be used, Furlan hopes that Lucidscape can plug the gap between the highly-orchestrated, contained experiences that most development has so far focused on (even MMOs like World of Warcraft or Second Life have a limit to their scope for interaction, simultaneous users, and real estate) and the infinite, open-ended experiences of science fiction dreams dating back decades. 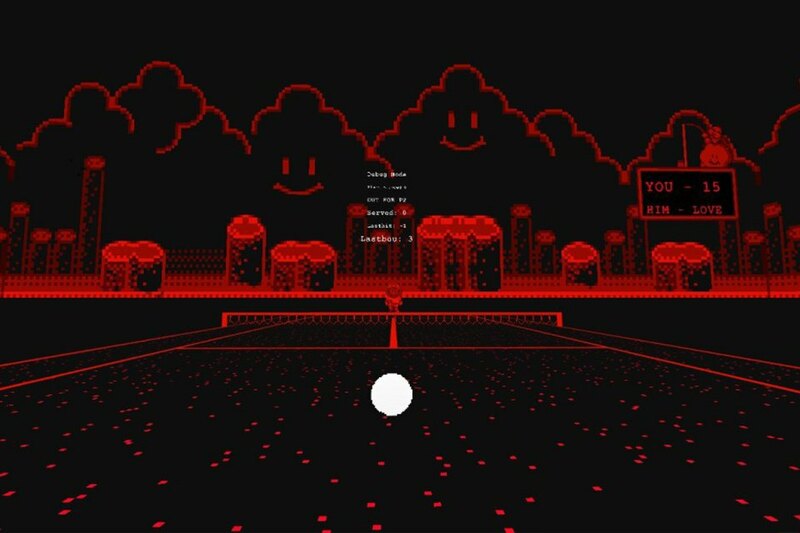 Lucidscape — like Janus and WebVR — also pushes hard on the idea that the web should be free and distributed, completely democratic, not be ruled by a corporation or walled like Facebook or the App Store. “In the ideal Metaverse," Furlan argues, "every interaction must be an invitation to learn, tinker, and remix." The ideal Metaverse, in other words, will be one in which you can conjure and alter (virtual) reality at will.